Under international law formulated in the Refugee Convention, the status of a refugee should be given to a person who is outside the country of his nationality for fear of being persecuted for reasons of race, religion, nationality, membership of a particular social group or political opinion.According to the data of the Office for Foreigners, in 2017 Poland provided inter-national protection to 742 foreigners. A total of five thousand applications was examined. The biggest number of persons wishing to apply for refugee status reach Poland through the Brześć-Terespol border crossing with Belarus. Since July 2016 efforts have been made in that area to prevent potential refugees from asking for asylum, which is against Polish and international law. After expressing a request for asylum, refugees should be allowed onto Polish territory and their cases should be investigated by the Office for Foreigners. However, the decision is often made much earlier than the law allows – the Border Guards prevent their entry to Poland. In May 2017 Irmina Rusicka went to the Brześć-Terespol crossing to investigate the problem. As a result she made a work focusing on the people she met there. 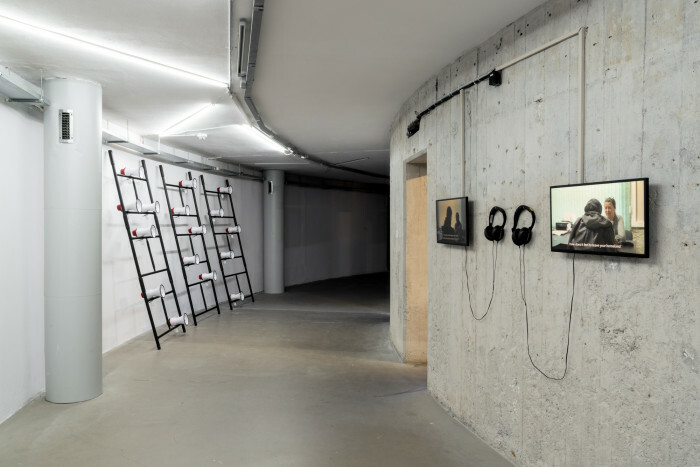 The installation consists of recordings of people requesting the refugee status who have been denied the possibility of entering Poland multiple times. 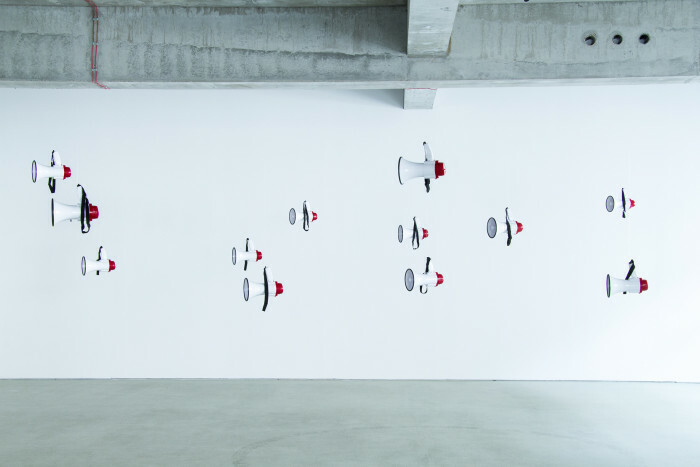 Each megaphone represents one person. The device is a carrier of their voice, saying I request the refugee status in Polish and Russian. The recordings were made mostly among refugees from Chechnya who were camping near the border crossing in Brześć. Their requests for asylum had been ignored by the Polish Border Guard for a long time. The recordings are supplemented with interviews with four people explaining their reasons for leaving their homeland. Rusicka's action is intended to give the floor to people who are excluded and completely anonymous to us. 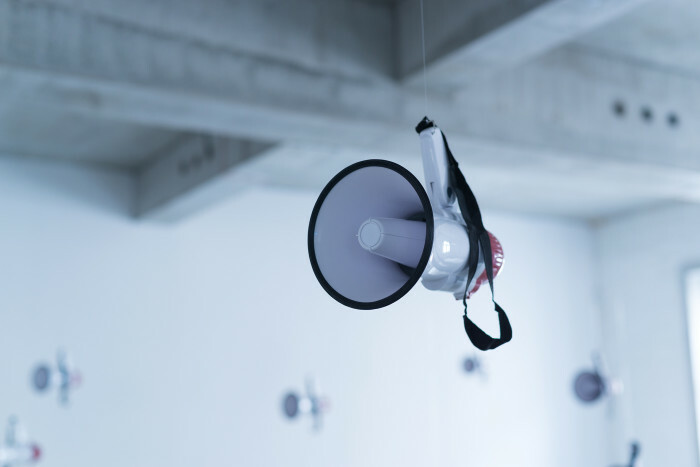 Equipped with the megaphone, they are symbolically given identity and a chance to speak out. Article 14, installation view at the diploma exhibition, BWA Studio, Wrocław, Poland. 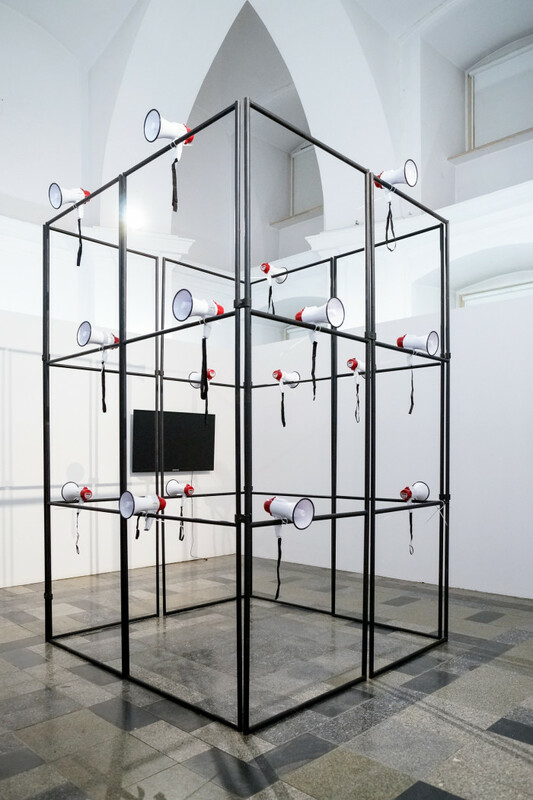 Article 14, audio and video installation, view of the exhibition, The Ratcatcher, Wrocław Contemporary Museum, 2018. Article 14, view of the exhibition, MY'17, MFA Diplomas ASP in Wrocław, BWA Awangarda Gallery, Wrocław, Poland, 2018. Article 14, selected video stills.